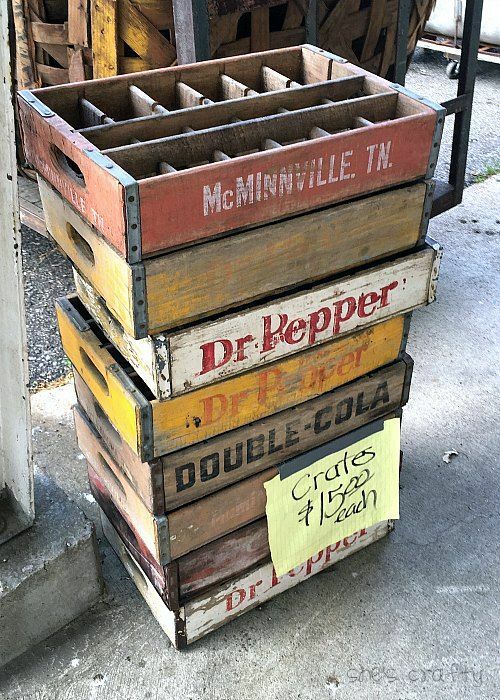 Last week I attended the Nashville Flea Market. It is such an awesome shopping experience. I thought today I'd share some tips for a successful shopping trip. There's TONS of walking, obviously. The Nashville fair grounds are at the top of a hill and the parking lot is at the bottom. It requires a bit of a hike, just to get into the market. If the weather is nice, I always wear flip flops because I swear my feet are claustrophobic. If the weather is wet, I wear rain boots. 2. Wear comfortable clothes too. I always dress in layers, like shorts/capri's, tshirt and sweater. It seems to go from chilly to blistering hot quickly. I like the ability to take off a layer for heat or add one if I'm cold. I like to keep my hair up in a pony tail and I wear sunglasses. Also, don't forget the sunscreen. 3. Bring a cart and/or large bag. You'll need something to hold all of your loot. I use a large canvas tote to carry the smaller items I purchase. It also holds my wallet, my water and my snacks (more on that later). that sell wheeled, collapsible carts for around $20. That's money well spent. You can use the cart to tote the larger items you buy to your car. 4. Bring water and snacks if you don't want to purchase any. 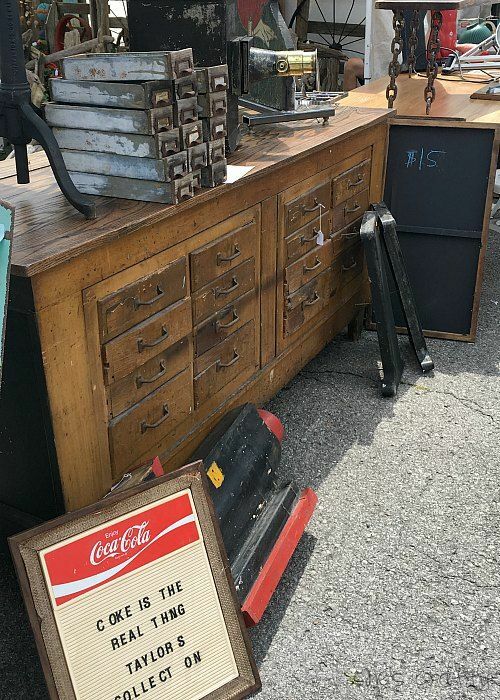 Nashville Flea Market has plenty of vendors and food trucks that sell drinks and food. But saving my money to buy treasures is more my jam. 5. Bring wipes and/or hand sanitizer. 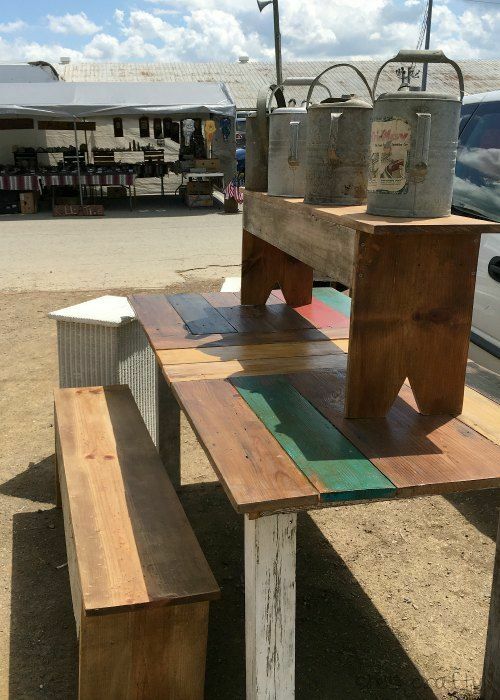 Nashville Flea is at the fairgrounds. my favorite vendors have booths in the animal stalls. That means dirt and dust, major. so my hands get so gross. I like to clean up a tiny bit until I can get to running water to wash my hands. Nashville Flea has many indoor restroom facilities available. Even if you think a seller's prices are too high, don't insult them. Just say thank you and walk away. I witnessed a lady repeatedly ask a vendor for a price on his items. each time he told her the price of an item. just to get a reaction from her. If she didn't agree with his prices, she should have just left. 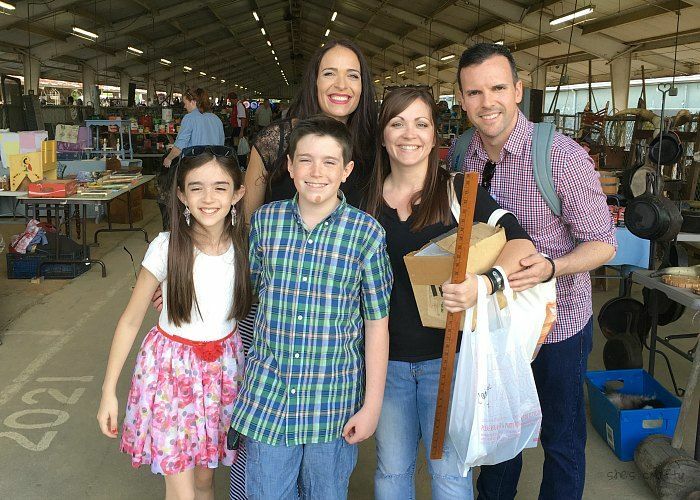 There are tons of people that shop at the Flea Market and tons of things to see. 8. Get there as close to opening as possible. The good stuff sells out quickly. If you're early, you can also get a closer parking spot. Yay! Some vendors do take credit cards, but cash is always a good idea. 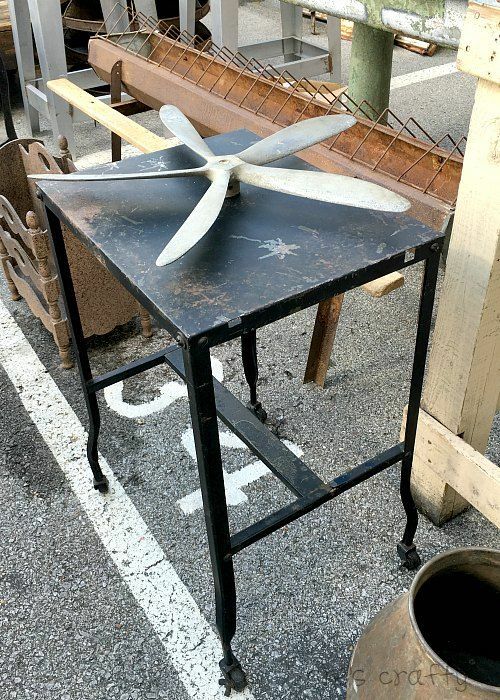 Going to the flea market is an event all in itself. While I was shopping, I ran into the Eh Bee family. 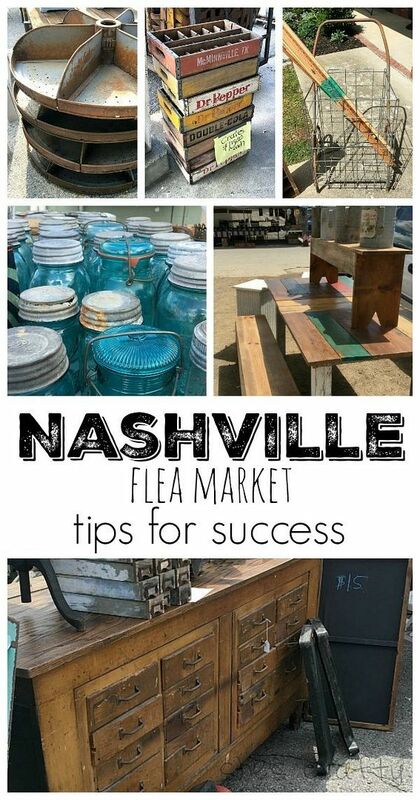 be at the Nashville Flea Market. I about died- I was so excited to see and meet them. My family and I are huge fans of the Eh Bees. And rightfully so, they were incredibly nice!! walking up to them and hear my ridiculously fast talking voice. I'm at the 5:34 point if you're bored and want to watch it. After a very successful shopping trip, this is what I ended up bringing home. 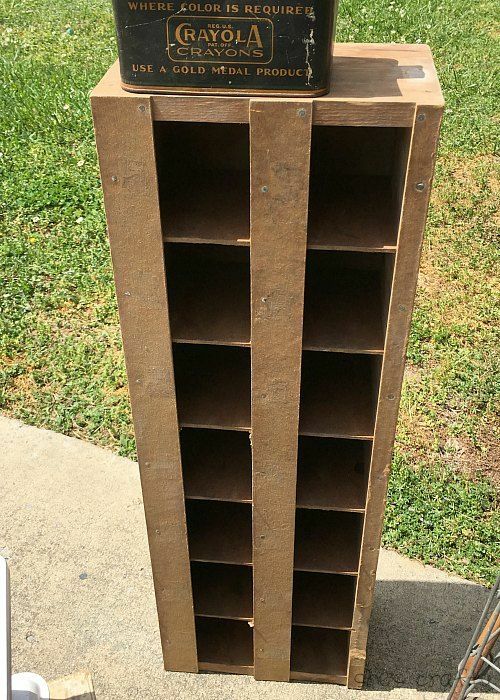 I got this rustic storage cubby for my office. I think I'll store ribbon and washi tape in it. I think this was some sort of store display. 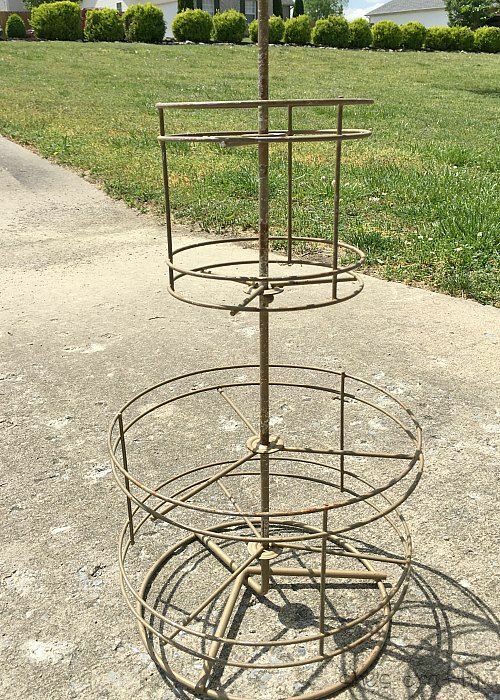 I think this would be a darling display for photos. They could be clipped onto the circles with clothespins or bulldog clips. 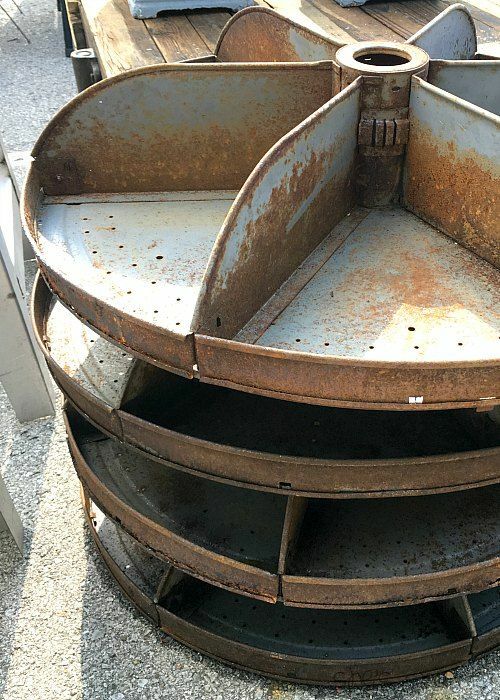 I just love industrial metal items. 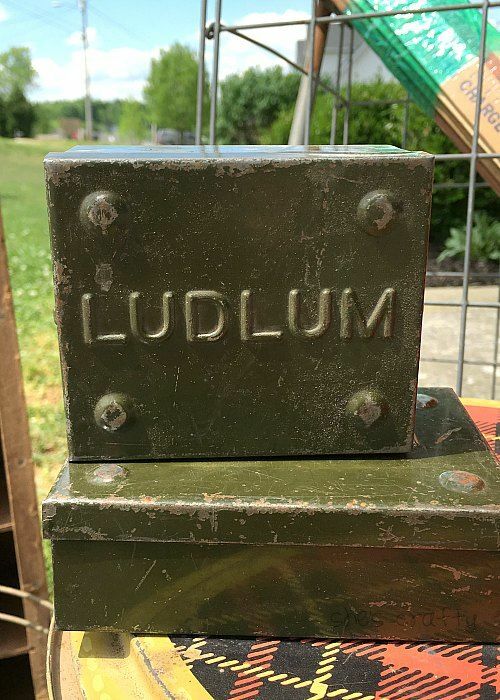 These metal tool boxes would be so cool with plants in them. 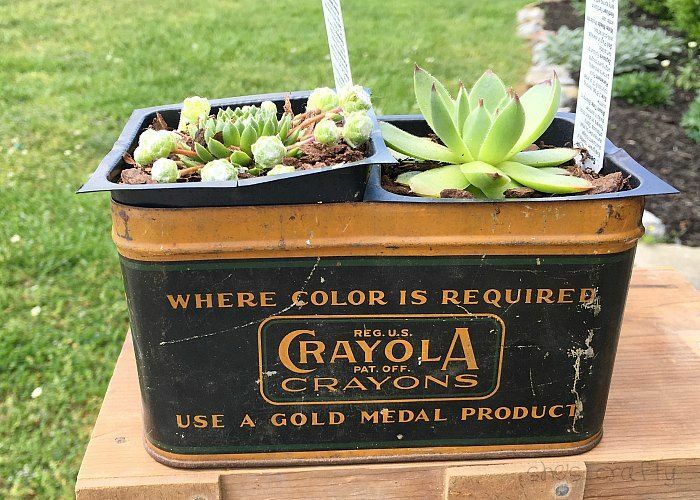 This metal crayon box has my heart! I think the succulents look so cute in there! 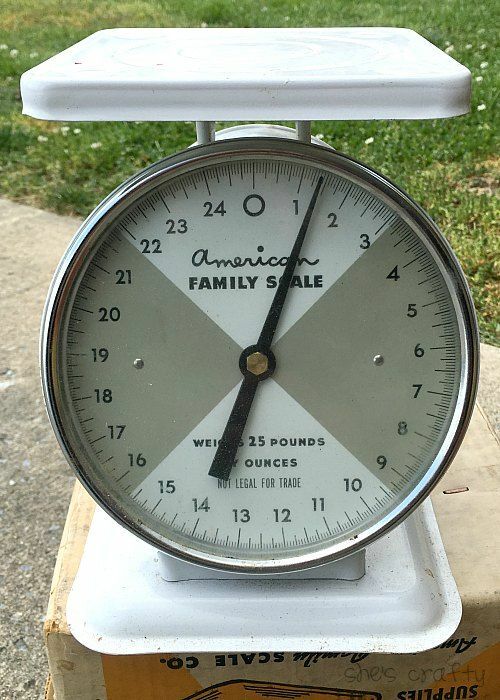 This metal scale is in such great condition. It came with the box as well. 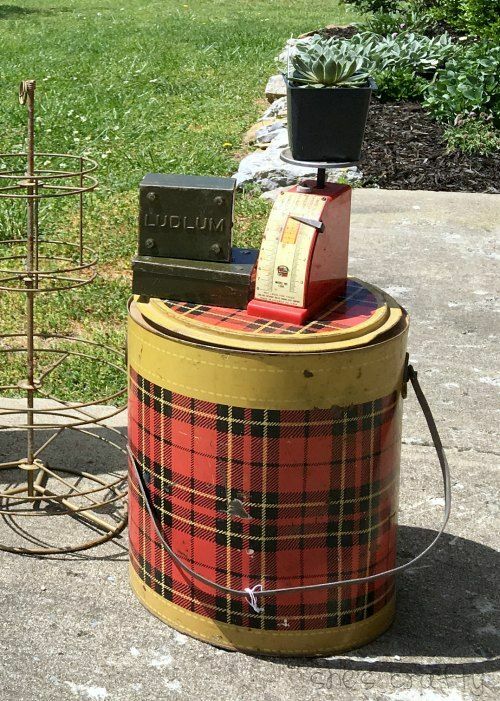 The plaid container was once a cooler. I think it would look so great with a plant stuck in it. The small red scale is so fun too! 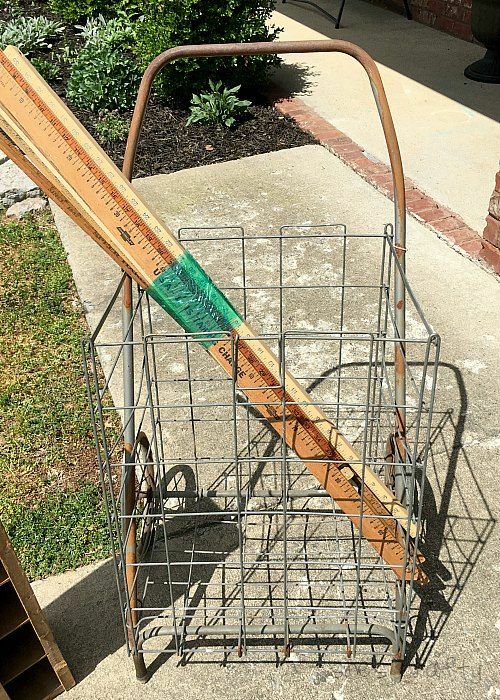 I also picked up this rolling cart and a bunch of vintage yard sticks. I think I'll use the yard sticks to make picture frames. 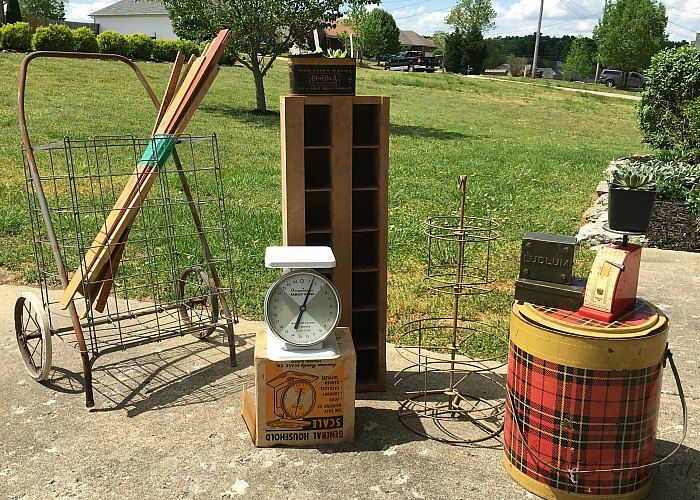 Unfortunately I'll be out of town for the May flea market. So the next one I'm planning on going is June 24-26.
in interested in going or meeting up! AHHH I got so excited reading this post because I just live a few hours from Nashville and I've been meaning to go forever! Thank you for including the dates of the next one because I'm putting it on my calendar... this weekend! Hope you find lots of goodies when you go in June!